It is a matter of regret that, over the next ten weeks, we are going to see much talk on the completely unimportant issue of how much Brexit is going to save. Figures are being sprayed around and hotly disputed in an increasingly tedious cycle of claim and counter-claim. By Referendum Day, probably the only guarantees are that total confusion will reign and nobody will be any the wiser. Amongst those currently bandied about is the already discredited claim that we send about £350 million to Brussels every week. All this money, we are told, "could be better spent on the NHS, schools, and fundamental science research". That this simply doesn't stack up has been well-rehearsed. According to the Institute of Fiscal Studies (based on official figures), last year (2015), the gross payment before rebate was £17.8 billion. That equates to about £342 million a week. However, from that was returned £4.9 billion as our rebate. This sum has no conditions attached and is absorbed back into Treasury funds. It is already accounted for and is not available for re-allocation. Then there is the £4.4 billion returned for spending on EU policy areas. This includes the Common Agricultural Policy (CAP) and rural development. An amount goes to regional funds, and some goes to government bodies for distribution as research funding. Although this money, after Brexit, would probably no longer be sent to Brussels, the funds are still spoken for. There are no plans to discontinue agricultural or rural support, or regional funding. This money is not available for redistribution. This leaves what is known as the "net government contribution", which for 2015 is £8.5 billion. From this must be deducted private sector receipts which go straight to the private sector and other non-governmental organisations such as universities. Annually, the figure is about £1.5 billion, bringing the "net contribution overall" down to about £7 billion. But that is not the end of it. There is also the question of overseas aid. Roughly £1.2 billion of the £11 billion aid budget is managed by the EU and paid as part of the annual contribution. Despite that, it goes towards the UK's self-imposed 0.7 percent GDP quota. If the sum was not paid to the EU, it would still have to be allocated to the aid budget. That £1.2 billion, therefore, is not available for redistribution. Rounded up, we are left with about £6 billion, although that might not be the case. If we are to retain access to the Single Market on anything like the same terms as Efta/EEA states, there will be a price to pay. On the same per-capita basis as Norway, the net cost (which would include the equivalent of EEA/Norway Grants) would be £4 billion, leaving a mere £2 billion potentially available for redistribution, or about £40 million a week. That, effectively, is the maximum saving the UK might expect – at least until a completely new deal has been negotiated. Even then, to suggest that this might represent an immediate saving is still somewhat optimistic. This could be nothing more than a fond hope for the future. There is something else that has to be taken into account. Given a successful referendum outcome, we might expect to devote most of 2017 to scoping discussions, lodging the Article 50 notification towards the end of the year, after the French and German elections. This means that the two-year negotiation period will not finish until late 2019. Prior to that, however, and alongside the Article 50 talks, there will be the talks on the Multi-annual Financial Framework (MFF) for the period 2021-2027, set to kick in at the end of the current period, which started in 2014. The UK will be entitled to take a full part in these talks, up until its point of departure. And it does have a dog in the fight. As the end of the last budget period, there were outstanding commitments known as RAL, from the French reste à liquider. In 2012, the figure was being reported by an alarmed European Parliament as £217 billion, an issue which got very little publicity apart from Booker. 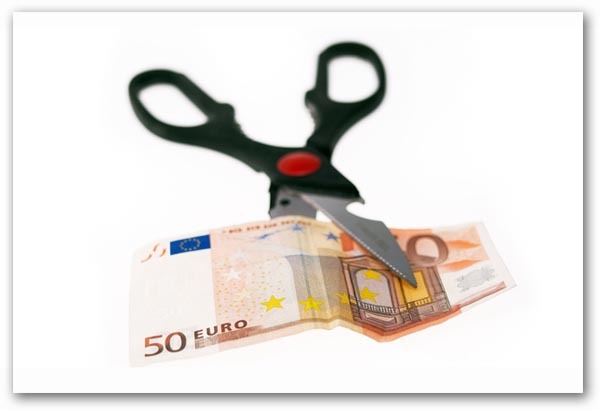 Together with other liabilities (mostly for purchases and staff pensions) of €103.4 billion excluding borrowings, this requires a carry-over into the EU budget for the 2014-2020 MFF of some €326 billion. Here, it gets really interesting. Given that the overall budget was trimmed below Commission expectations, yet commitments are escalating, it is hard to see the EU emerging from this current MMF with the liabilities reduced. RAL plus the staff pensions and other payments could easily exceed €350 billion. Of any liability as it currently stands, the UK's responsibility runs to about 13 percent, which in sterling terms, would put us in hock to the tune of around £30 billion. How much of that will have to be paid by us will undoubtedly be a matter for discussion during the Article 30 negotiations. If the "colleagues" insist on everything, but "generously" allow staged payments over the MFF period to come, that would amount to about £4 billion a year. With only a £2 billion surplus available, however, that would mean the UK having to find an extra £2 billion, or £40 million a week – up until 2027 – on top of our existing net costs. Even if we chose to pay nothing as an EEA contribution, our overall saving would only be £2 billion. That is our best-case scenario. That then supposes that the EU will not demand any compensation for our departure. Like any other major organisation, the EU has undertaken long-term commitments, such as the provision of buildings. It can also claim that it will lose some of the benefits from economies of scale. On this basis, there is always the possibility of the EU demanding a "divorce settlement", which could account for many billions. Even without that, it is completely unrealistic to expect any immediate savings from leaving the EU. A realistic scenario is us paying slightly more. There is even a possibility that we will have to find a substantial severance payment. But this is not important. We are not proposing to leave for the money, and the benefits that will accrue will come from our ability to act again as an independent state. They will amount to hundreds of billions over term. For that, any residual contributions are a worthwhile investment. And with the payments issue out of the way, we can focus on the real reasons why we need to leave the EU.